David Hawk is a former IFBB Professional Bodybuilder who ranked in the top 10 of the world’s best professional bodybuilders from 1985 to 1992. In 2002 and 2003, he placed in the top 4 of the IFBB Masters Mr. Olympia. 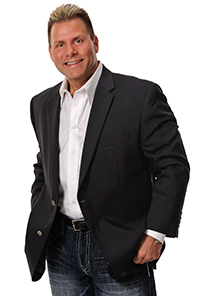 This former Mr. USA and Mr. World has more than 32 years of experience in sports management, entertainment, sports marketing, and product development. He has also won the coveted “Vision” and “Telly Awards” for his creative advertising. Hawk is considered one of the world’s best professional trainers and nutrition coaches, who has worked with athletes in the NFL, NHL, PKA, IFL, NASCAR, WWE, TNA and UFC. In addition, he served as a NASCAR pit crew trainer for GNC, Stackers, and DuPont’s Hendricks Motor Sports race teams. Over the past 25 years Hawk has worked as a marketing specialist and business development director for some of the largest health and wellness nutrition retailers and manufacturers in the world, including DuPont Nutrition and Health, Danisco, GNC, Vitamin Shoppe, Basic Media Group, AFFES Military Exchange, Walgreens, Navy Exchange, 7-Eleven, Circle K, Sam’s Club, Walmart, Meijers, Giant Eagle, Kroger’s, and CVS pharmacies. Hawk is a fitness expert and columnist for the Europa World Sports Magazine, the Military Exchange Operation BeFit, Physique 3D, Muscle and Body, Wellbella, and Physical magazines. He also sits on the board of Arnold Schwarzenegger’s Arnold Sports Festival Event, and is the promoter of the Arnold Schwarzenegger Ultimate Teen Challenge. Hawk has been a featured guest on Fox Sports Net’s Totally NASCAR, Sally Jesse Raphael, Regis Philbin, PM Magazine, ESPN, ESPN2, ESPN’s American Muscle Magazine, Muscle Sport USA, Benny Hinn Ministries, and Pat Robertson’s CBN 700 Club. As a celebrity athlete, Hawk has published fitness and nutrition articles in national and international magazines including Muscle & Fitness, Flex, Ironman, Men’s Health, Muscular Development, Muscle Mag International, Muscle Training Illustrated, Physical, Get Active, Let’s Live, Fitness RX, Black Belt, Physique 3D, Muscle and Body, Wellbella, Real Fighter, Giant Eagle’s Healthy Advantage magazine, and the Europa World Sports magazine.